The film industry emerged at a key moment in the development of the written and graphic press and it would not be too long before it was playing a role in creating the imaginary of current affairs through images. Although these news images did not begin to be gathered together into a specific programme until the year 1908 thanks to Pathé Frères, in the very beginnings of cinema there were already images of current events, royal visits, official openings, sports events or exceptional situations that were to bind the image to its present context and bring it into the territory of what could be deemed as newsworthy. We are interested in images that captured reality, such as the reconstructions of events that are to become news. The seminar will focus on trying to define the relationship between cinema and news, to see how it began to build the news imaginary that presaged many of the questions of the future news images both in the subsequent newsreels and in those that came along with the birth of television. We are also interested in observing film as an area of intermediality, bringing together a variety of forms from other areas such as photography, painting and popular theatrical shows, in which the idea of news began to be presaged. The time period of the study is to be from 1895 up to 1914, since we believe that the newsreels underwent a different development with the outbreak of World War I. The proposal of the seminar is to establish a methodology of research and reflection in the context of news and, eventually, to find out how and if we can talk about a kind of birth of the documentary image. Well, it’s certainly going to be an honour to be speaking at such an event, and in such company. I’m delighted to see that there are scholars actively engaged in studying early newsfilm – this certainly wasn’t always the case in times past – and across such rich and pertinent topics. 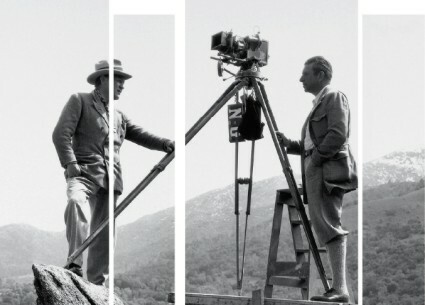 The Museu del Cinema site has further details on the seminar, including registration details and other such information. The seminar will be multi-lingual, with simultaneous translation into Catalan, Spanish and English.